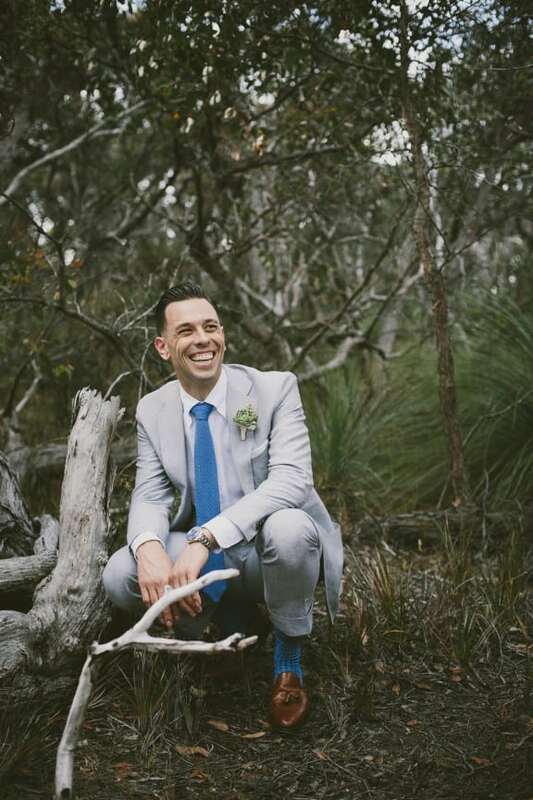 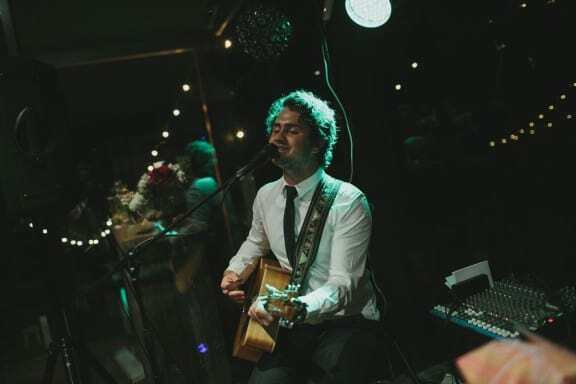 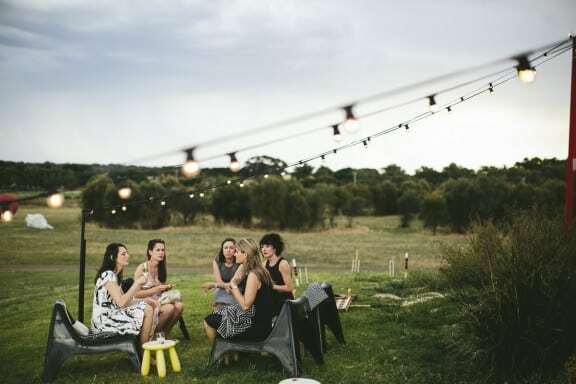 There was no shortage of ‘something blue’ at Dani and Tim’s Point Addis wedding. 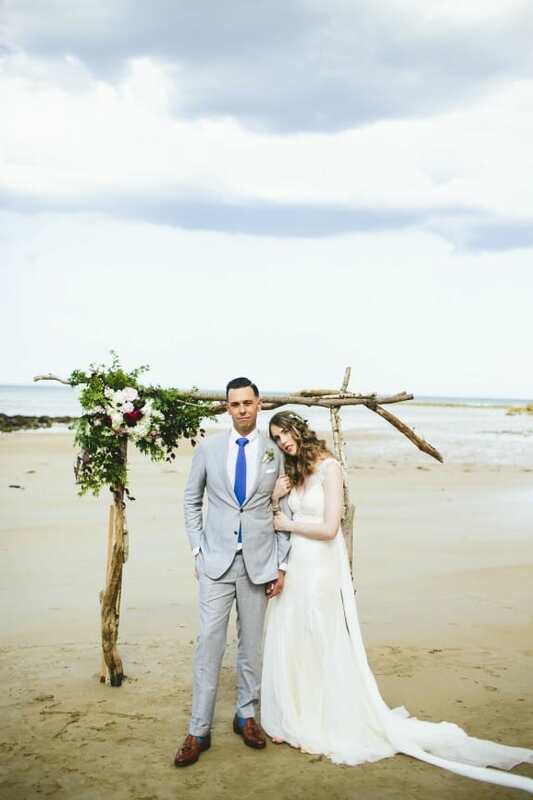 With the azure ocean as a backdrop, this cool couple were in their element along the sandy shores of Addiscott Beach. 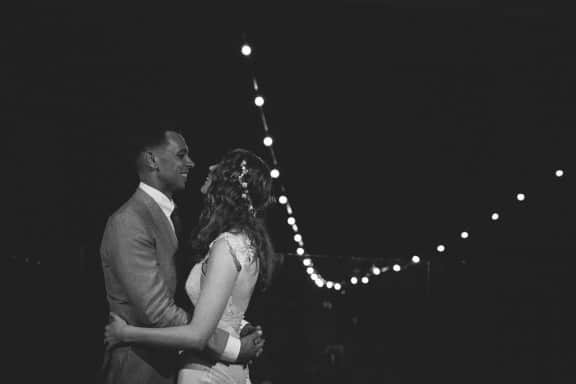 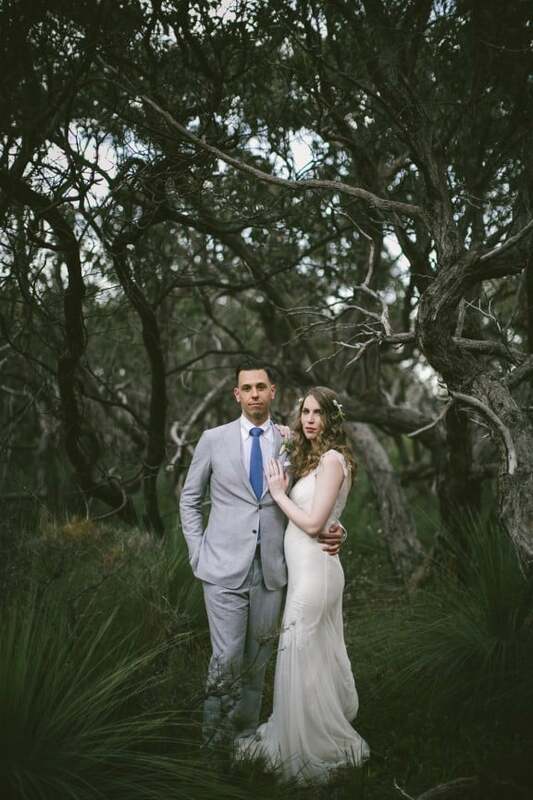 It was a perfect balance of forest and sea and the elegant nuptials were captured by the very lovely Katie from Katie Harmsworth. 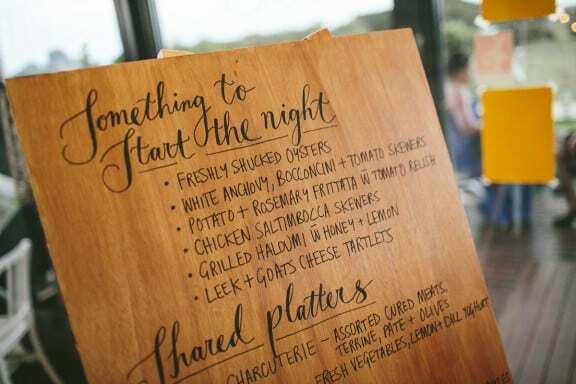 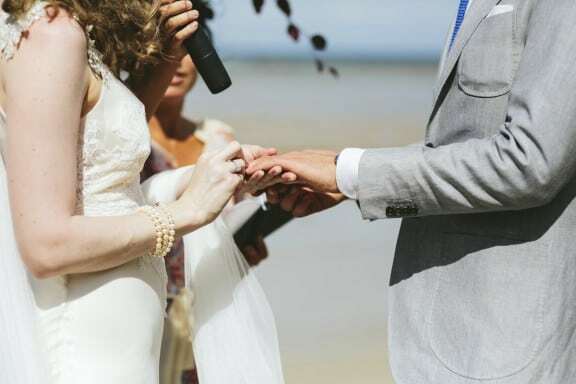 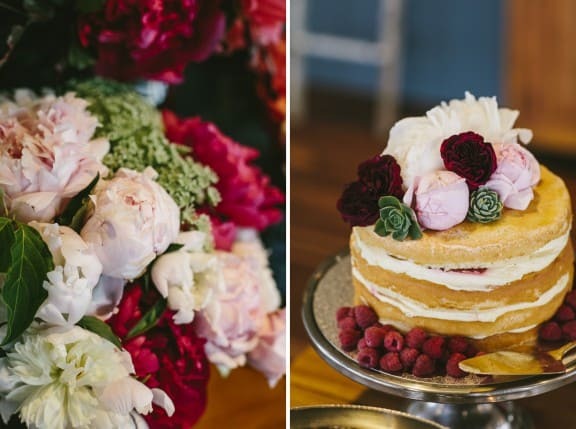 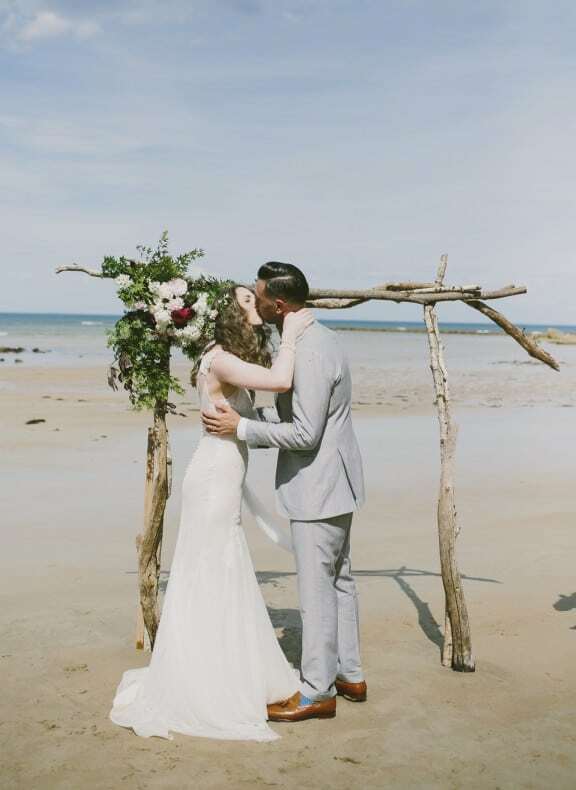 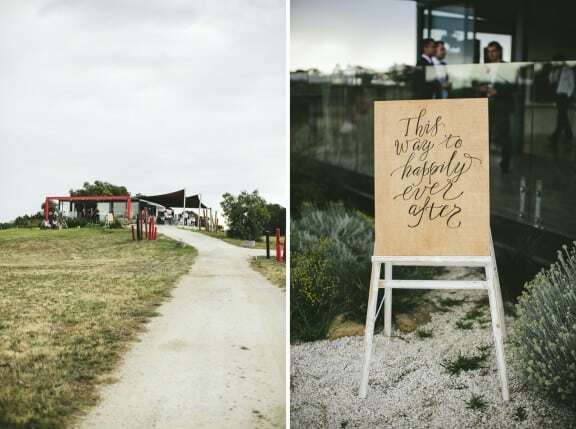 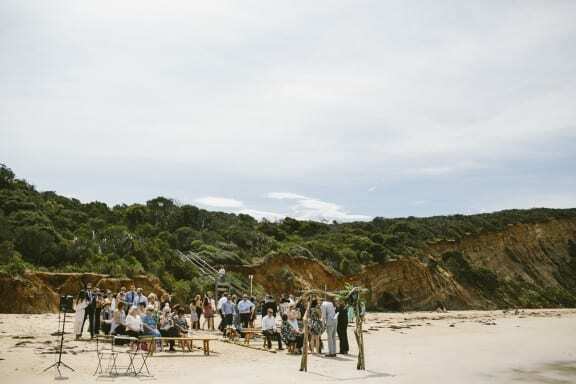 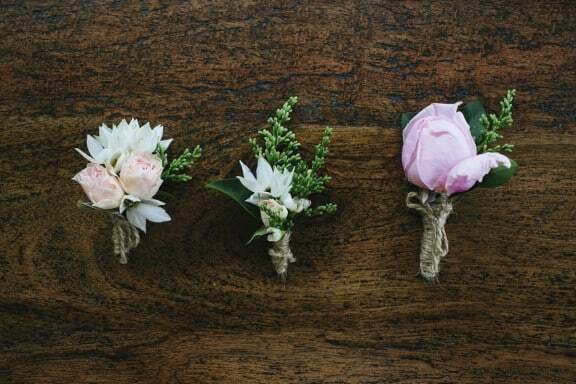 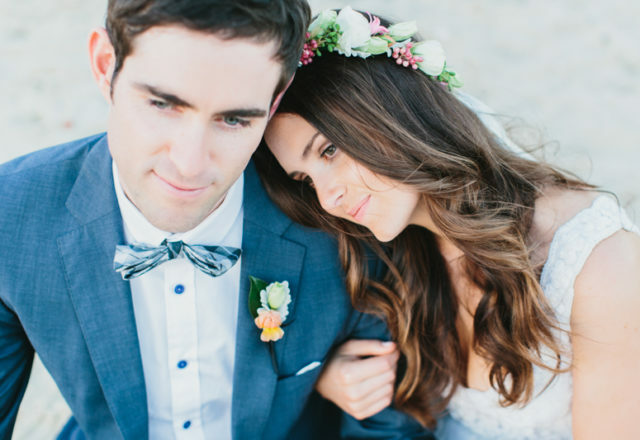 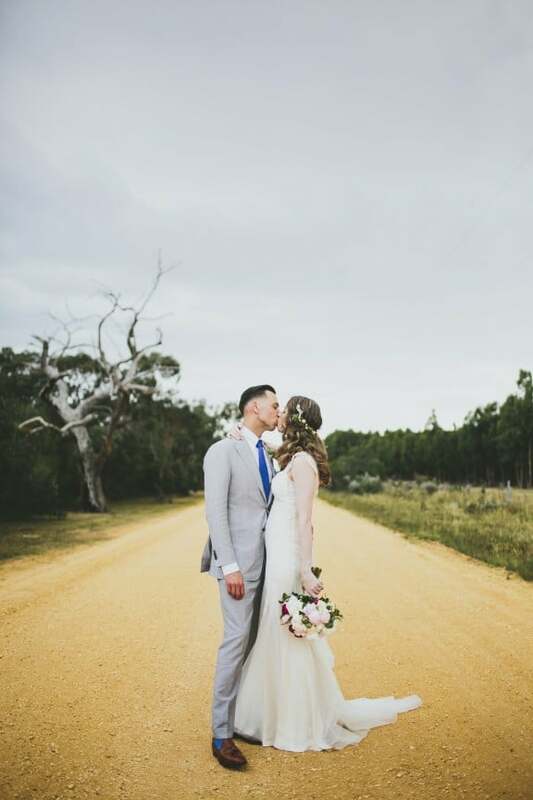 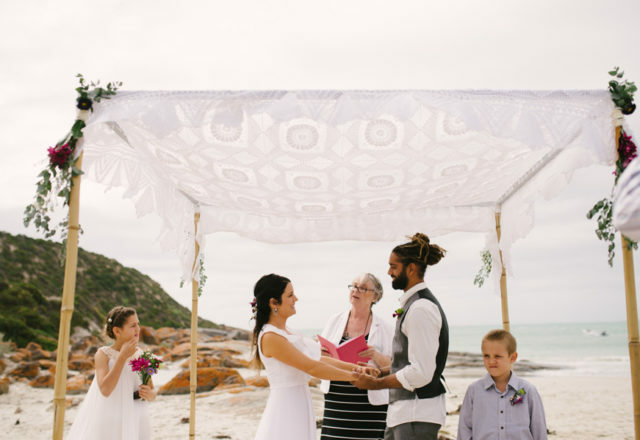 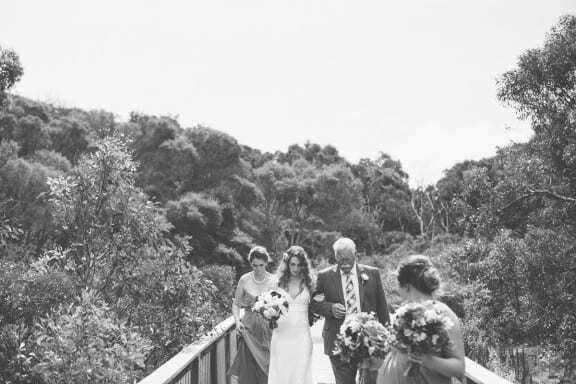 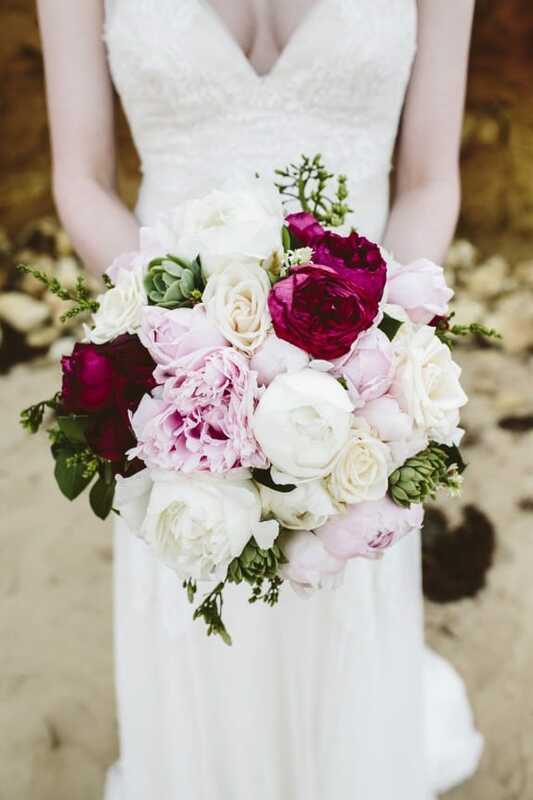 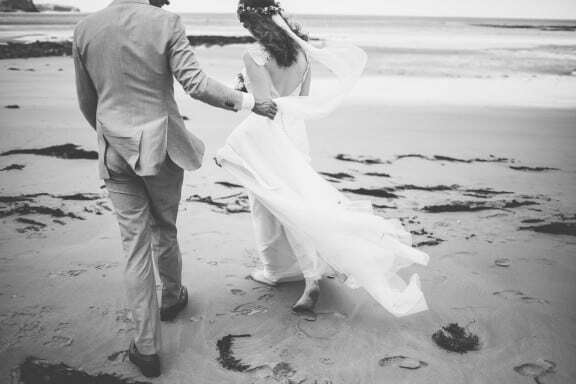 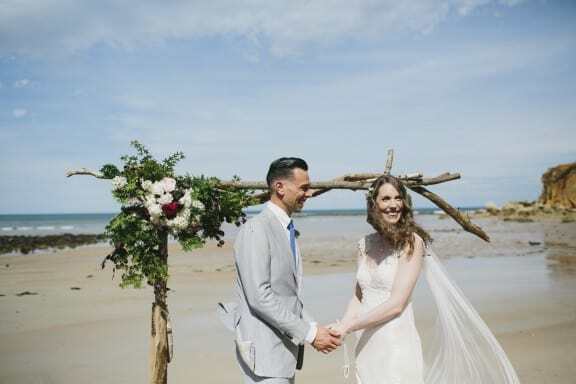 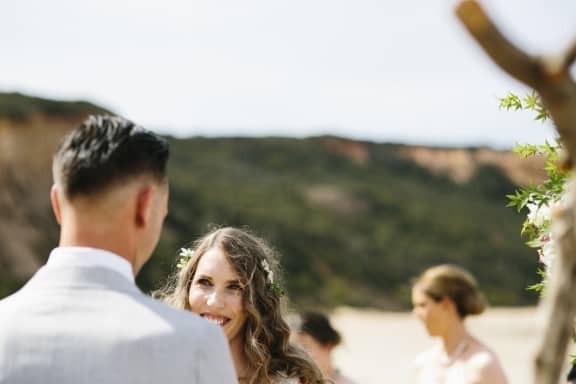 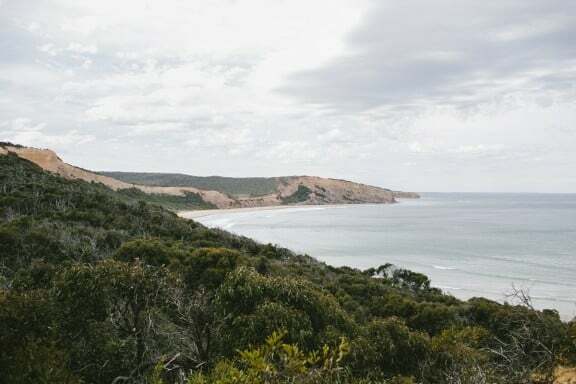 Originally from Anglesea, this bride and her beach-loving beau kept things simple, with nature as their cathedral. 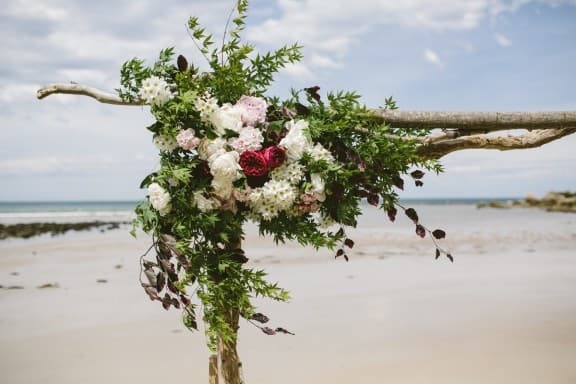 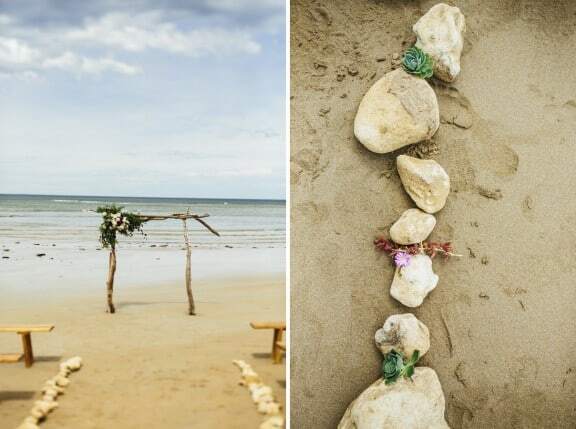 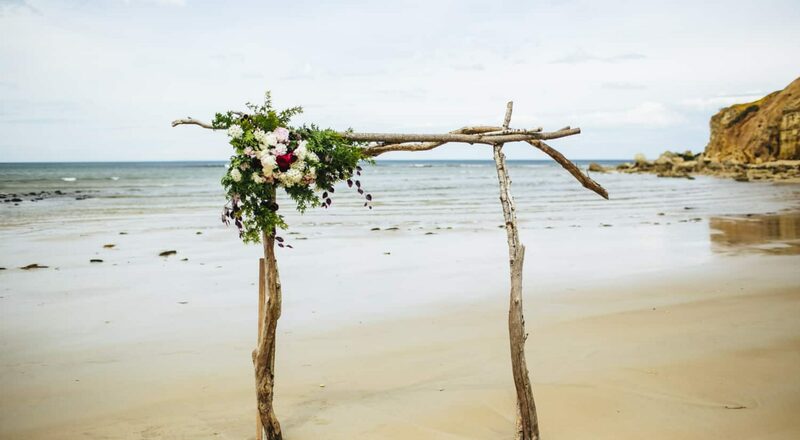 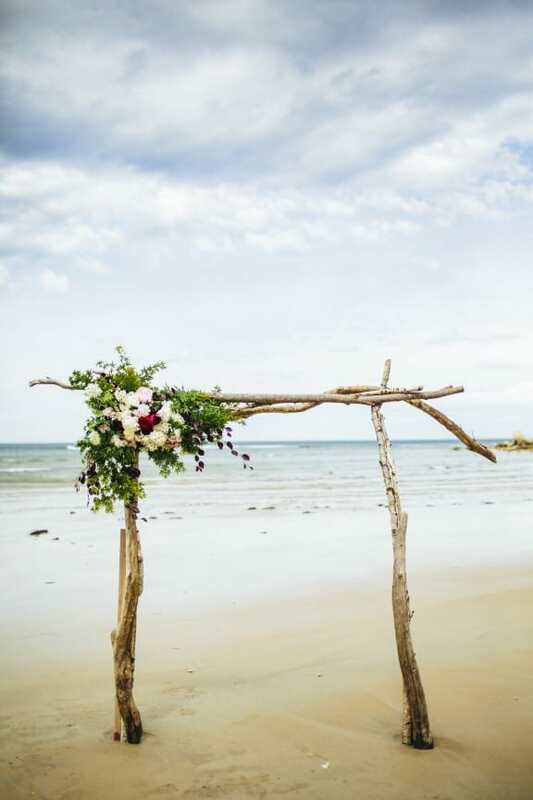 A quaint arbour, festooned with vibrant greens and lush flowers stood alone on the sand, crafted from driftwood that Tim had collected while surfing. 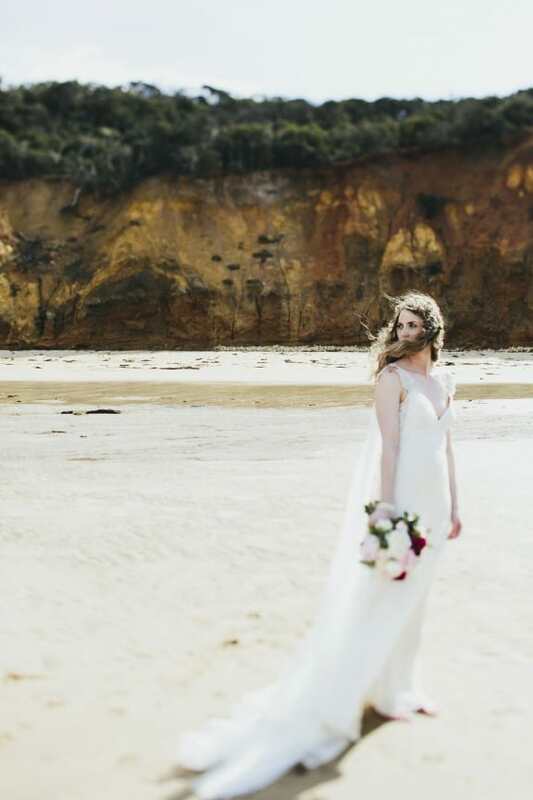 In her delicate Pallas Couture gown, Dani could have been mistaken for a mirage floating across the sand. 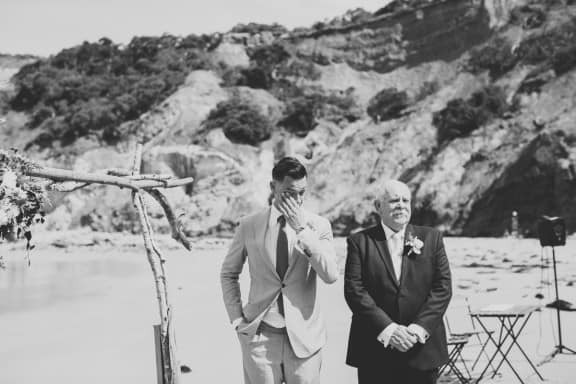 At least we reckon that’s what Tim thought when he first laid eyes on her. 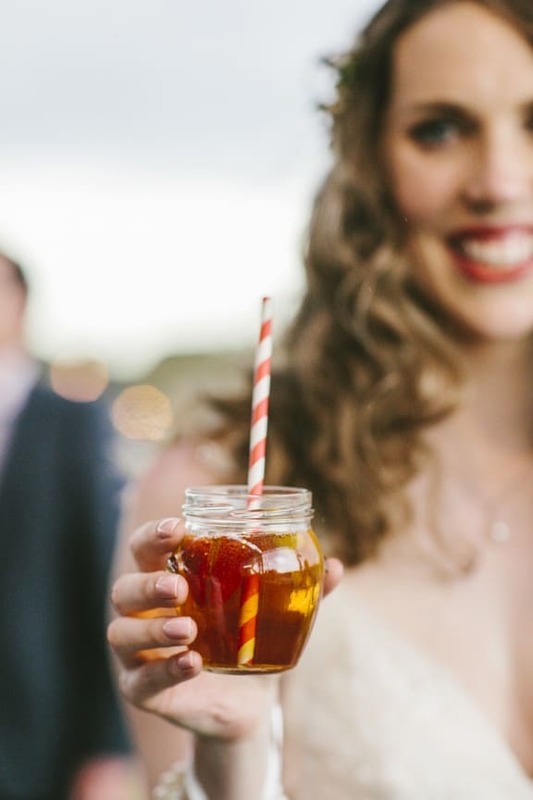 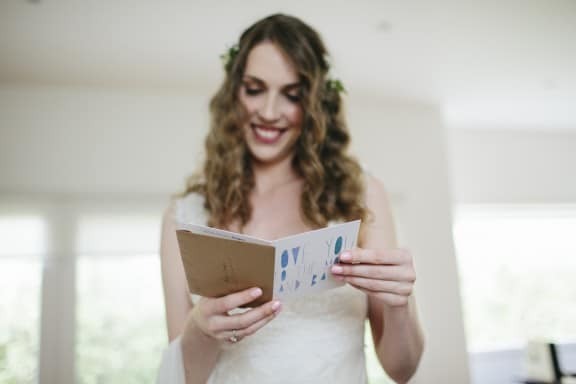 Natural curls and rose-stained lips by Blondie Hair & Cosmetica had this bride looking effortless. 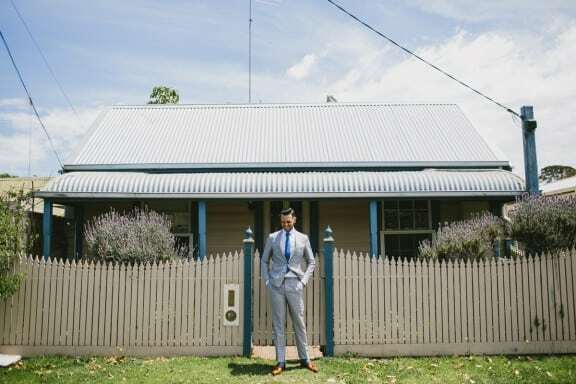 Already a stylish specimen, Tim looked dapper in a light grey suit by P. Johnson Tailors, accessorising with a dash of blue for good measure. 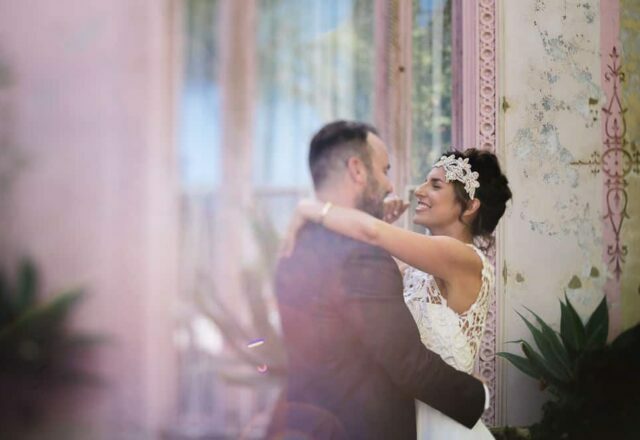 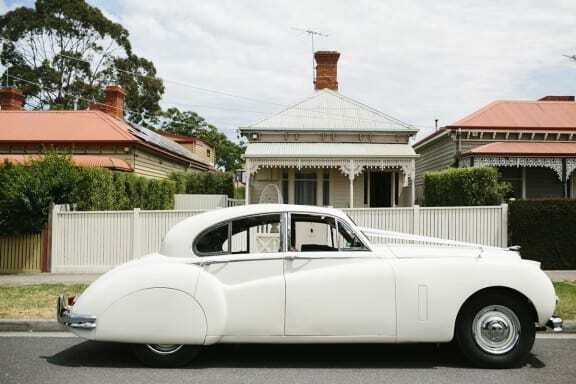 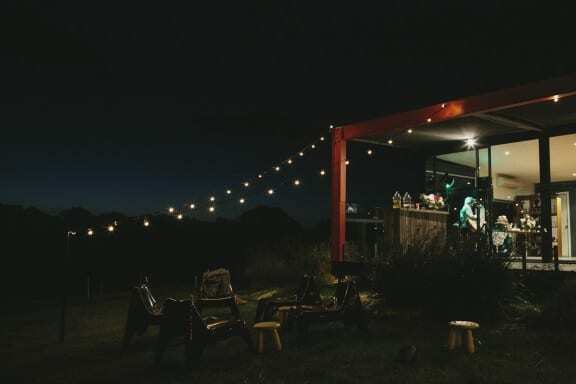 Arriving in a crisp white Jag from Jaguars of Geelong wasn’t a bad way to turn up to their wedding, and Dani and Tim sought out self-described ‘love story designer’/modern celebrant Jo Betz to make it official. 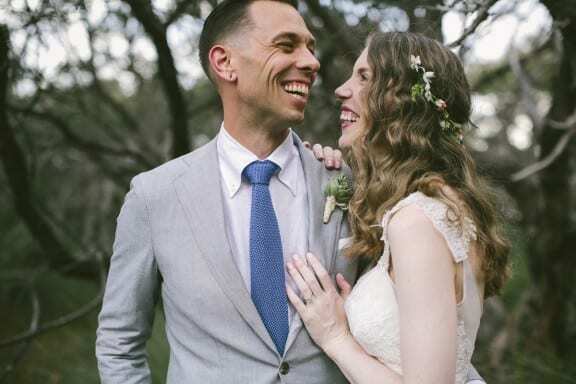 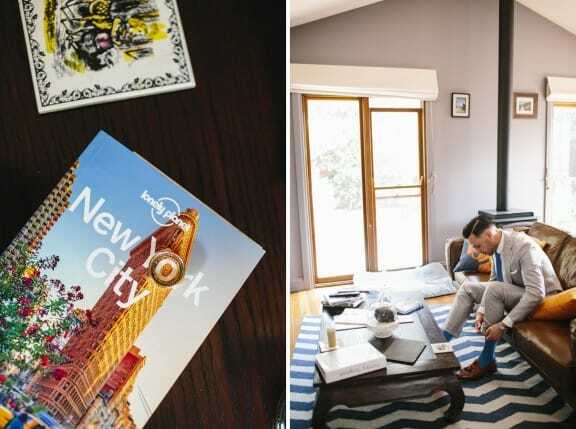 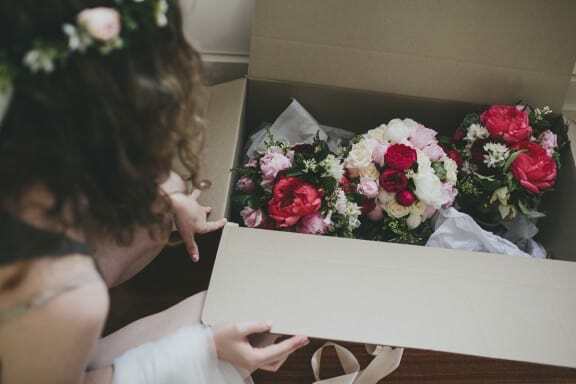 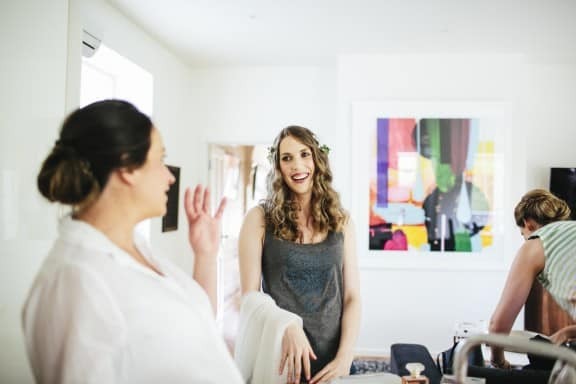 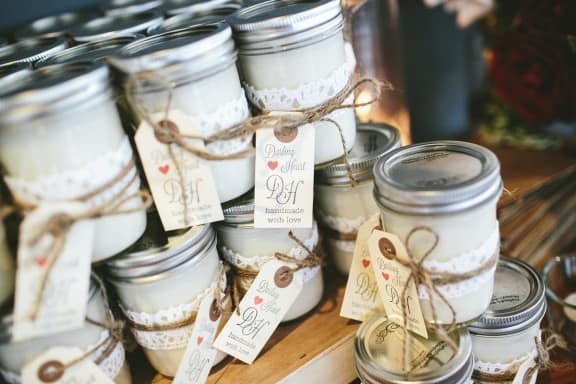 Laura Harvey, a stress-reduction extraordinaire (aka wedding planner and stylist) from Weddings of Desire lent these honeys a hand in the lead-up, “She is a true professional, with an eye for detail” Tim says. 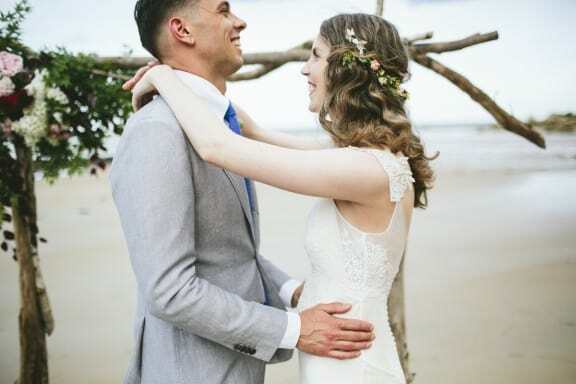 When it came to picking a location for the reception the conversation was short and sweet, “We were out at Bistro at Banks for a Friday night dinner,” says Tim, “and Dani and I pretty much said at the same time ‘I really like this place…I wonder if they do weddings?” The Bistro turned out to be a wise choice – after all, no seaside wedding is complete without some mouthwatering seafood on the menu. 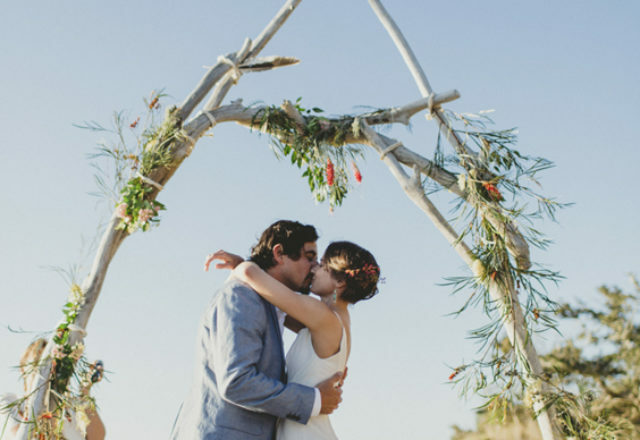 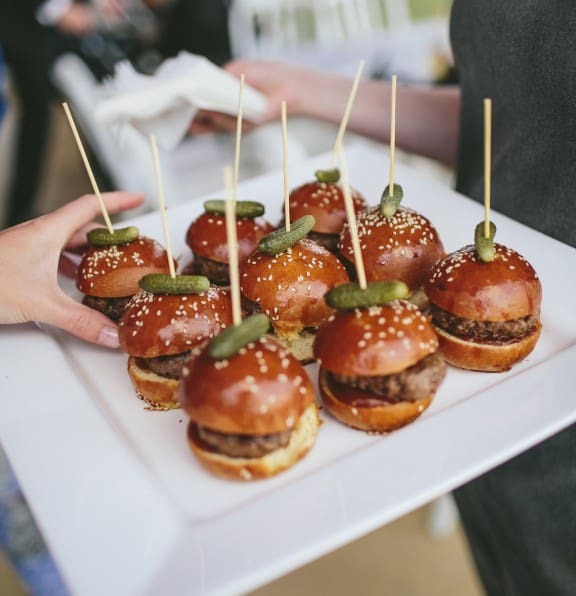 But all oysters aside – these darlings had us saying ‘Aw shucks!’ back on the beach. 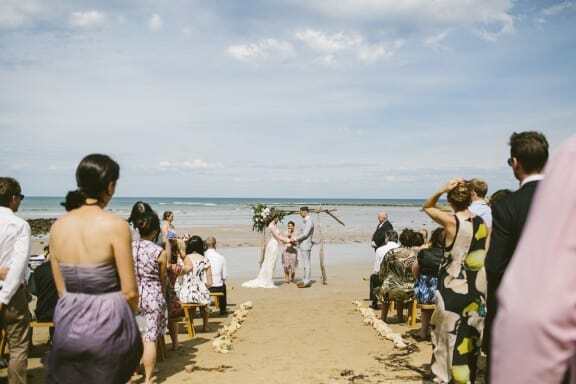 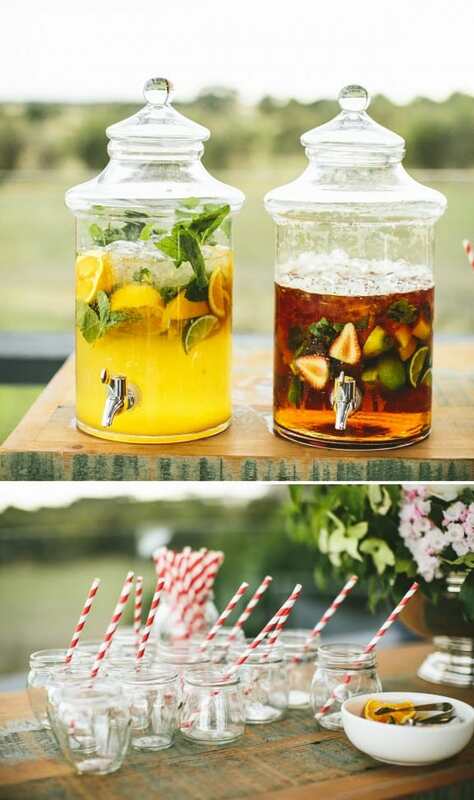 Looks like a fun wedding!